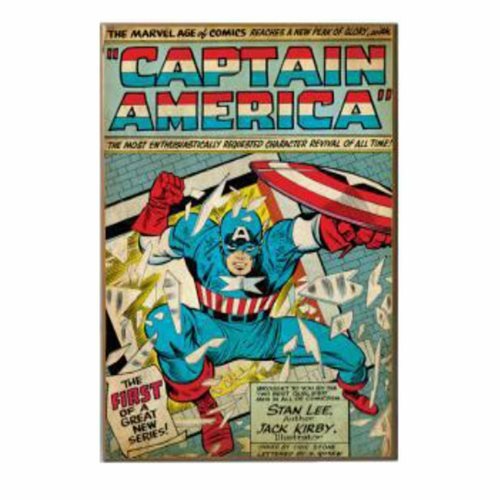 Classic comic book art makes this remarkable Captain America "The First" 3D Wood Wall Art very special. Measuring approximately 19-inches tall x 13-inches wide, it features a sawtooth metal hanger on the back and comes ready to hang. Ages 14 and up.